Most of us love entertaining, but it's often difficult to find imaginative and original dishes for your guests. 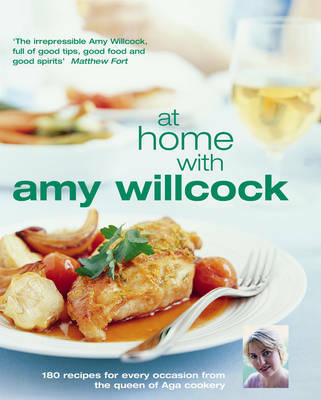 In this stunning new collection, Amy Willcock brings you 150 easy and delicious recipes for every occasion. There's a dish for every time of year and to suit a wide variety of venues, with chapters on al fresco entertaining, weekend house parties, high days and holidays, formal and informal gatherings. For an original twist on outdoor eating, try an autumn picnic using the finest foods of the season (Figs wrapped in parma ham with gorgonzola, Mushroom and Herb Frittata). 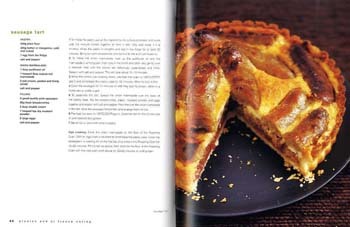 Amy also offers a selection of dinner party menus, including the likes of Soup au pistou with Parmesan and salami bread and Roast pork with Calvados gravy and black pudding and apple stuffing. 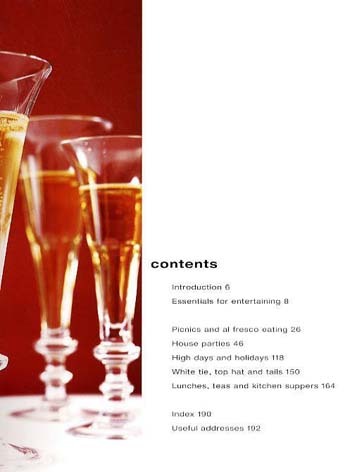 For festive occasions, there are suggestions for drinks parties, with canapes including Goujons of pheasant with aioli and mustard mayonnaise, as well as the traditional Easter and Christmas Day meals (plus choices for vegetarians such as Savoury ricotta strudel). 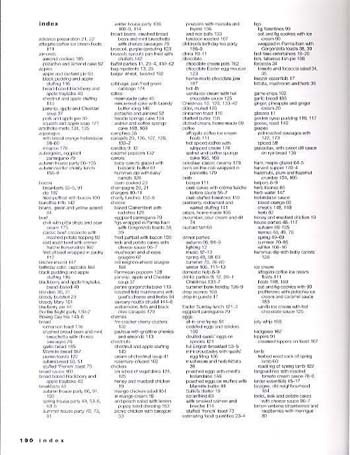 There's advice on cooking for more formal events, such as a buffet before a summer ball (Cold roast beef with creme fraiche, Hot new potatoes with caviar), as well as relaxed teas and suppers at home (Walnut and coffee sponge cake). With simple-to-follow instructions for both Aga and conventional cooking, and beautiful full-colour illustrations throughout, you will never be short of inspiration, whatever the occasion.